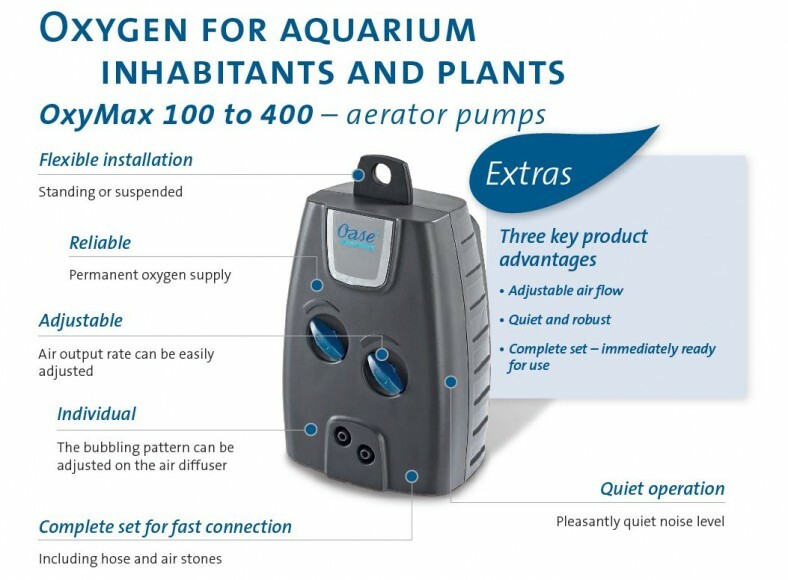 The OxyMax 400 is a German engineered aquarium air pump which delivers 360L/hour of air flow whilst remaining as energy efficient as possible, consuming only 4 watts. Featuring two outlets, the built-in variable control dials allow the air output to be adjusted independently of each other, allowing for fine tuning to create the desired effect within the tank. 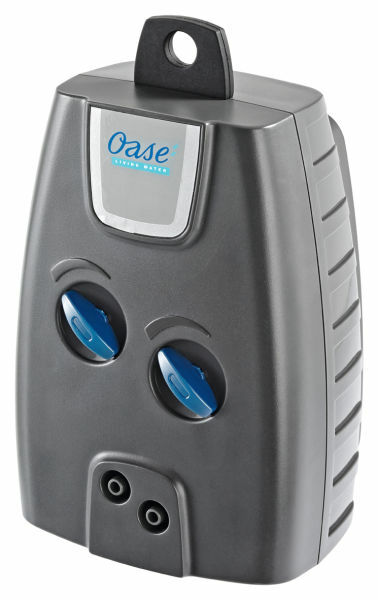 The multiple mounting options give the opportunity to disguise the pump by hanging it at the rear of the tank or simply laid down on its rubber feet inside a cupboard. 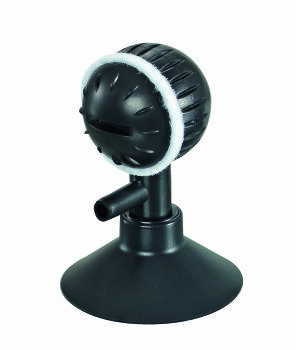 The rubber feet will also assist in dampening vibration, ensuring quiet operation. If mounting the air pump below the tank water level, we suggest the use of 2 x 4mm Non-return Valves to prevent water from syphoning backwards down the airlines if the pump is switched off. 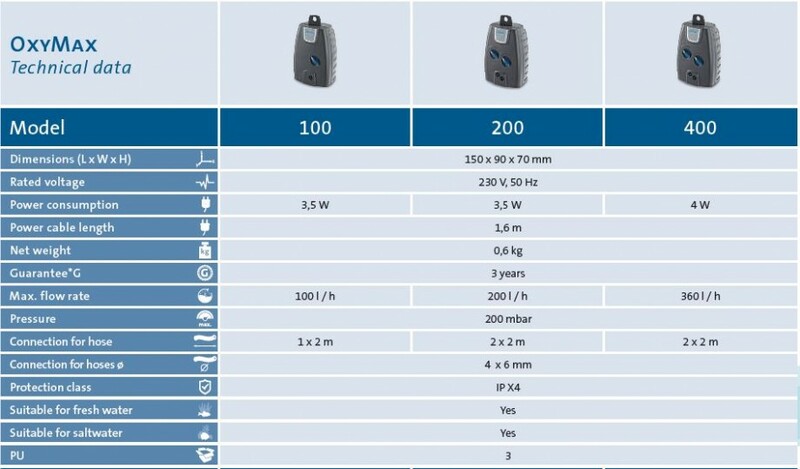 The OxyMax 400 aerating pump is supplied with two 2m lengths of 4mm air hose and two air stones, making this unit ready to install and run immediately out of the box.